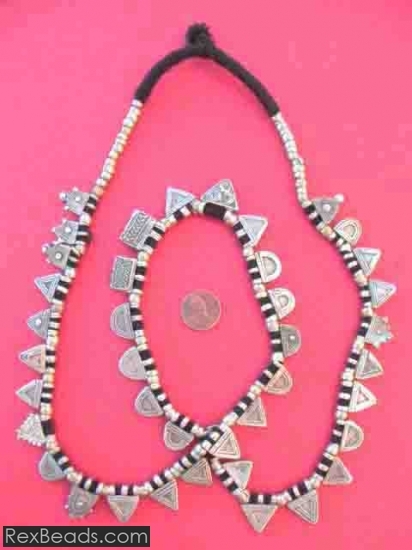 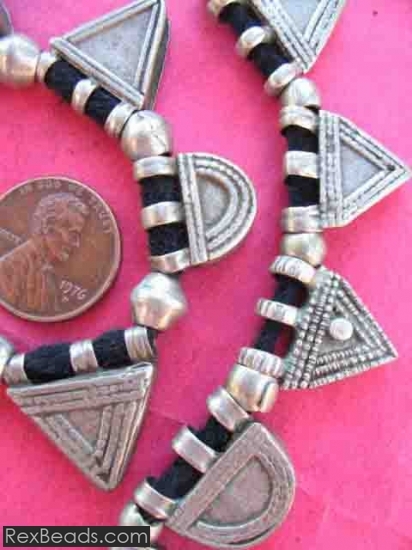 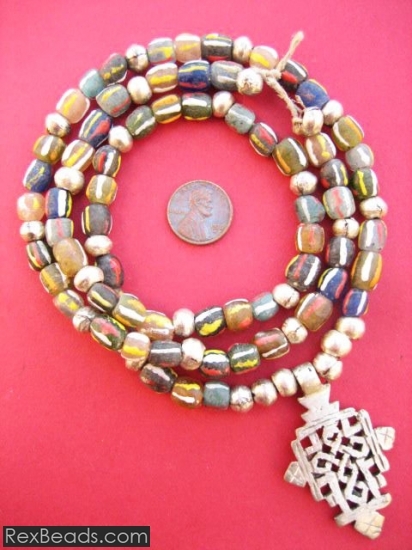 Tuareg beads originate from the nomadic Tuareg people of North Africa. 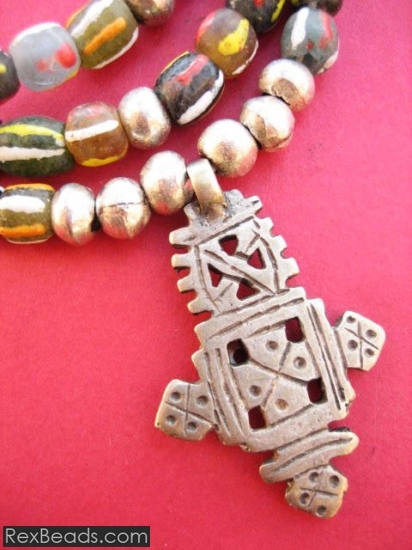 Tuareg beads are created by skilled Tuareg bead makers who pass the knowledge on to future generations, just as their forefathers have been doing for over a thousand years. 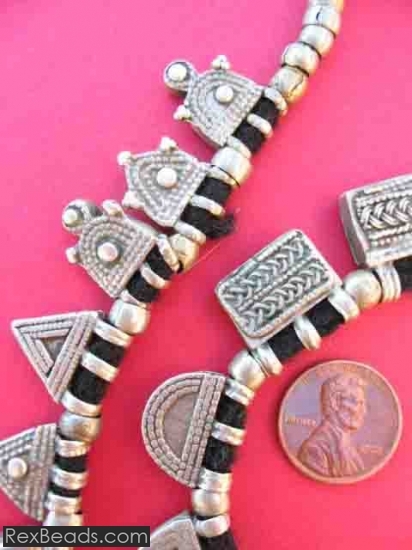 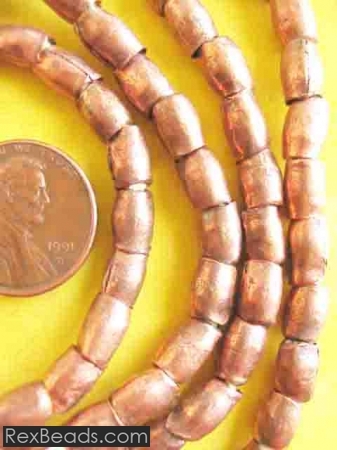 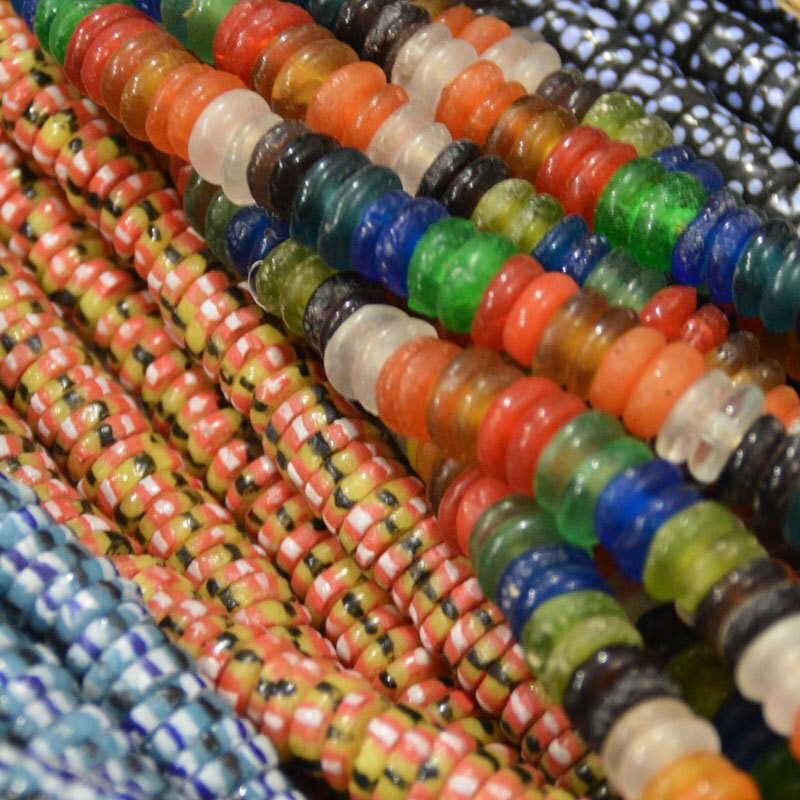 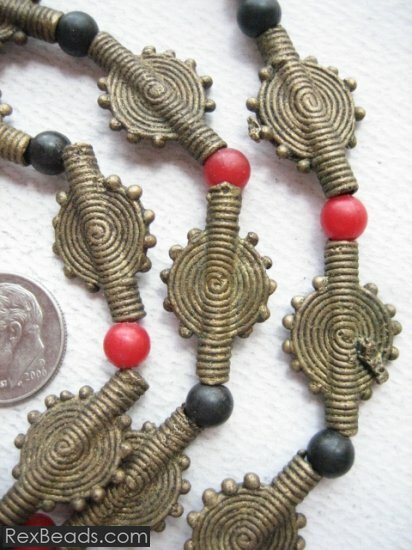 These beads are unique and high quality and used to create exquisite jewelry items. 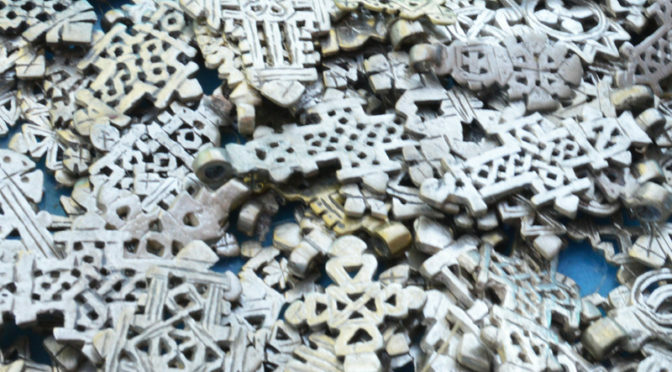 Some common items crafted include crosses made using the ancient lost wax technique of bead making. 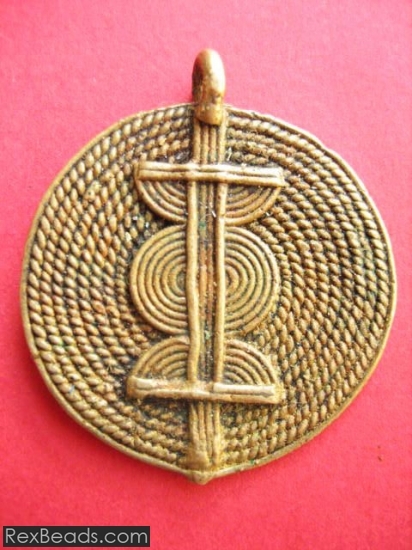 Here, softened wax is shaped and applied in a clay mold which is then fired using a goat skin bellows. 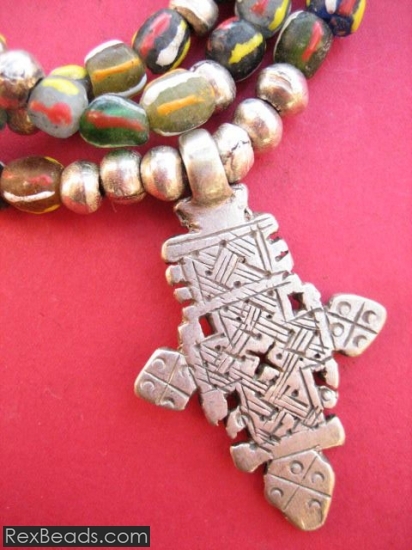 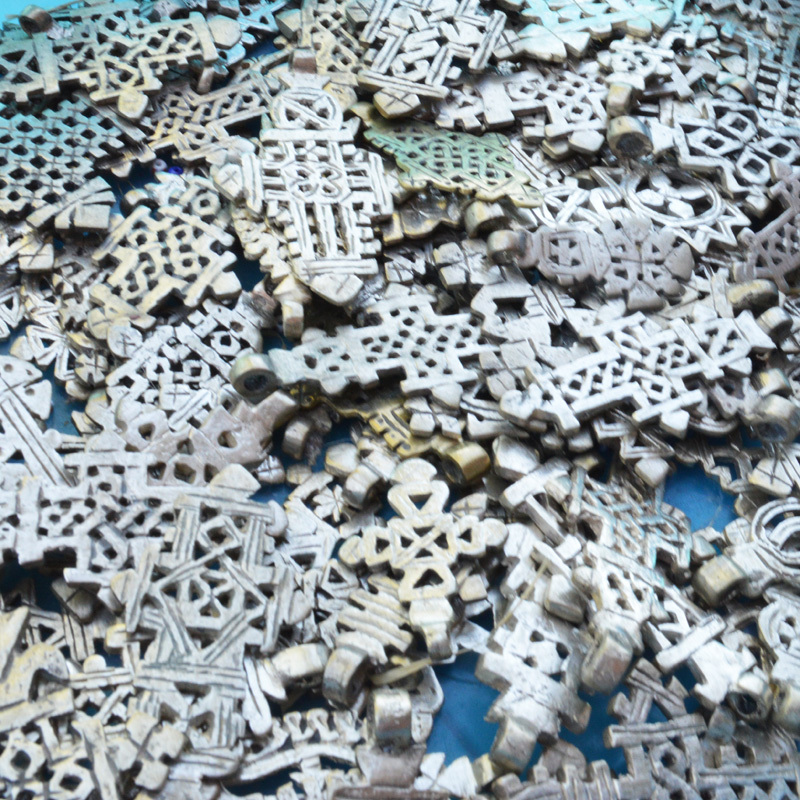 The basic Tuareg bead cross can then be shaped, engraved and thereafter polished to create an awe-inspiring jewelry item. 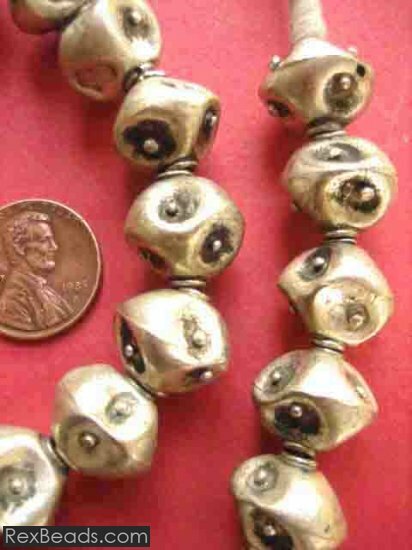 Today, ring beads have become increasingly popular and are ideal to use as focal points for crafting interesting jewelry projects. 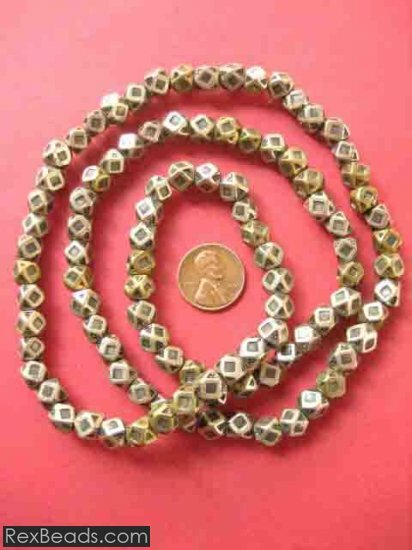 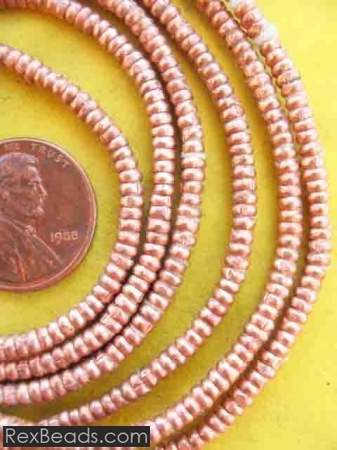 These beads are available in a wide variety of materials including metals such as brass, copper and silver and are popularly used in showcasing the natural beauty of these metals. 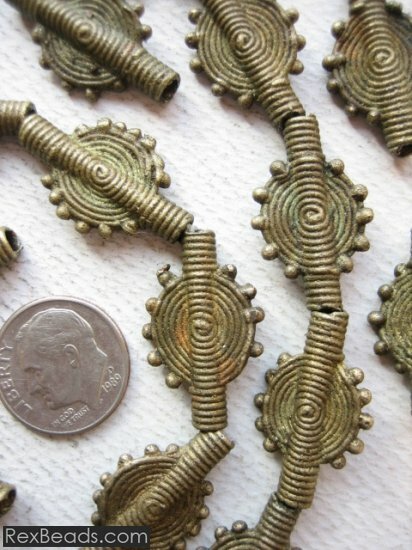 Ring beads take on the form of circular disks with a large central hole quite similar to that found in a Dutch Donut bead. 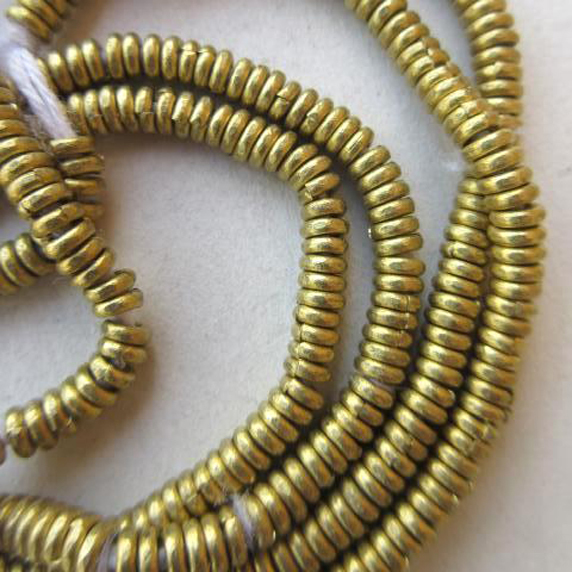 This makes them easy to string because their holes are conventionally-placed. 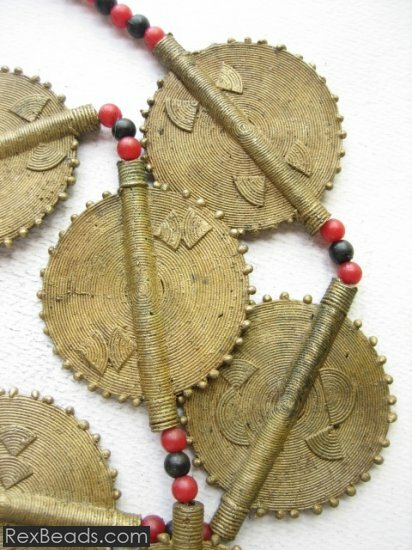 With leather for stringing, you may use a handful of beautiful brass ring beads from Ethiopia to create exquisite ring bead jewelry pieces. 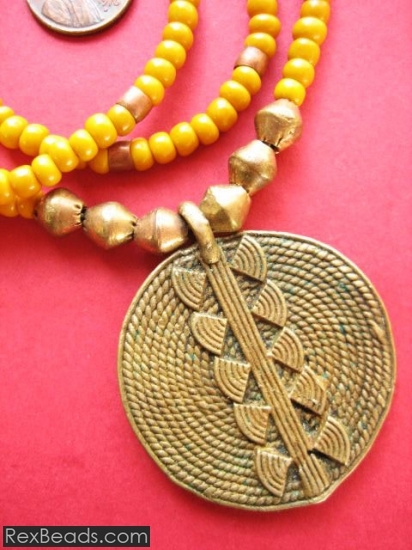 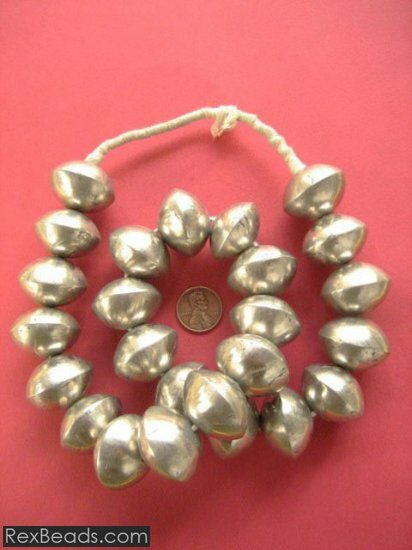 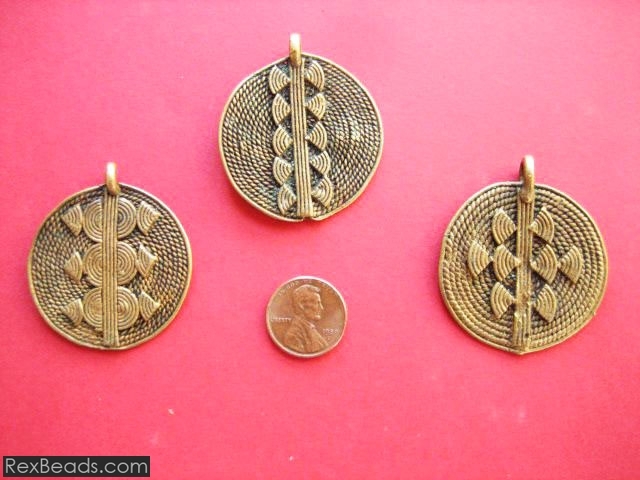 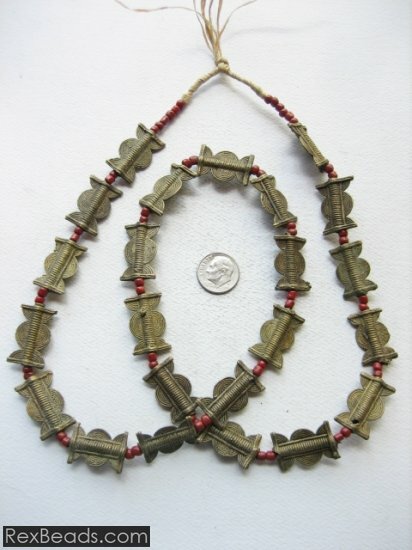 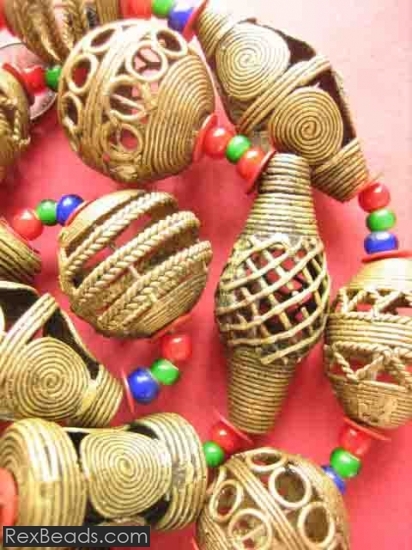 Brass pendant beads are a type of African trade beads which are hand-made and crafted out of metal. 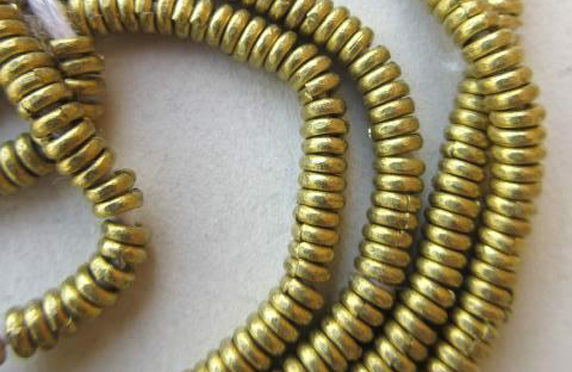 Brass pendant beads are made from brass which is an alloy of copper that contains a significant amount of zinc as well. 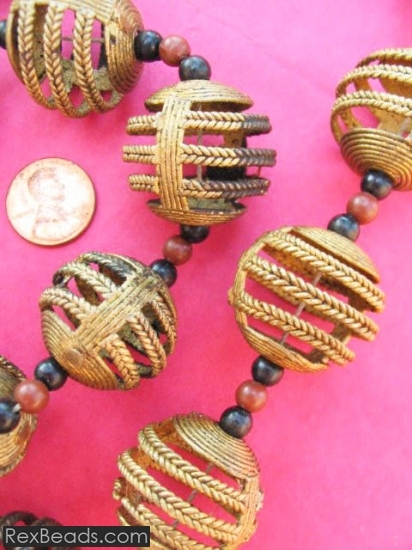 These pendant beads work well as beautiful centerpieces for a wide range of jewelry items. 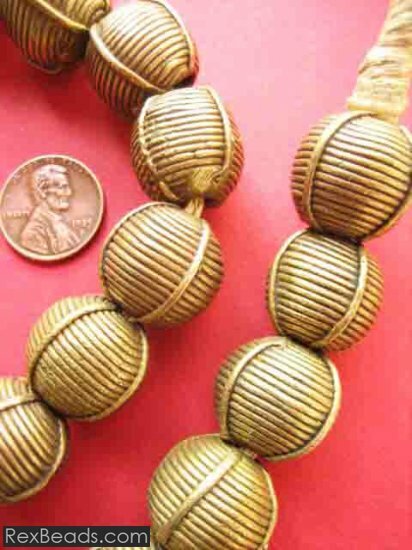 For instance, you could add a brass pendant bead as the focal point on a strand of French glass beads to create an exquisite necklace. 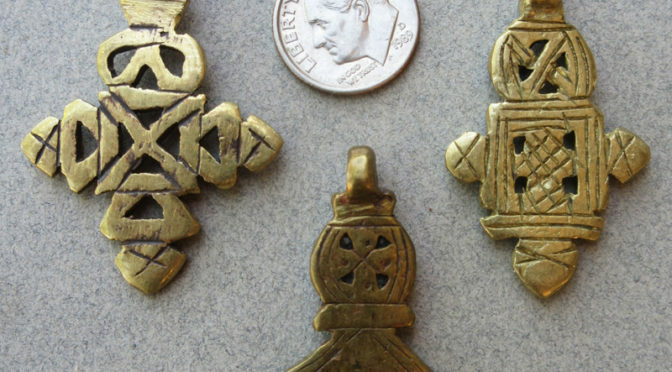 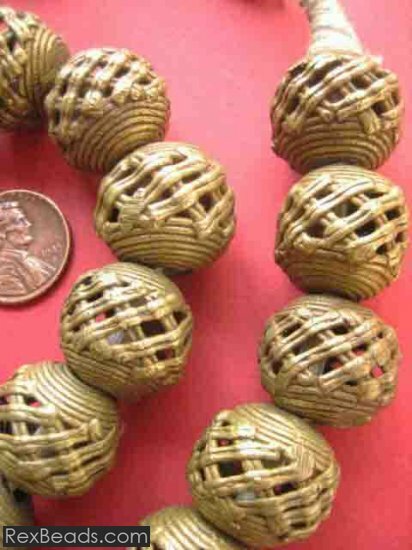 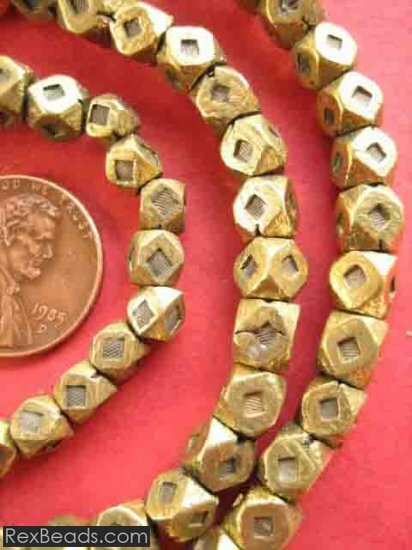 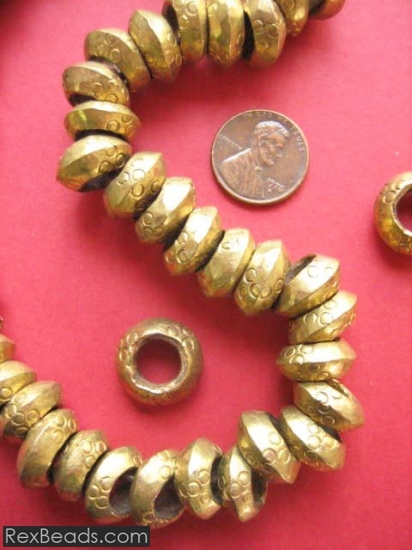 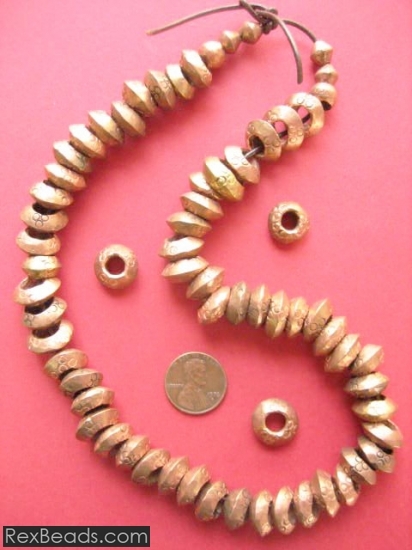 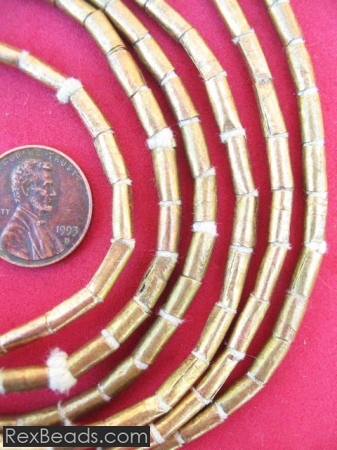 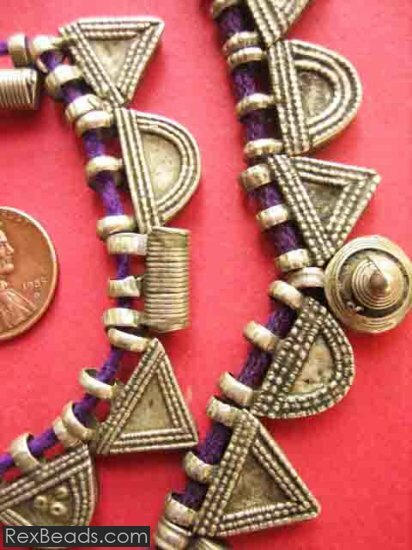 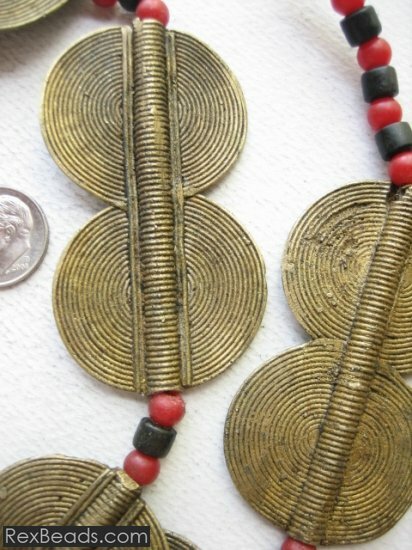 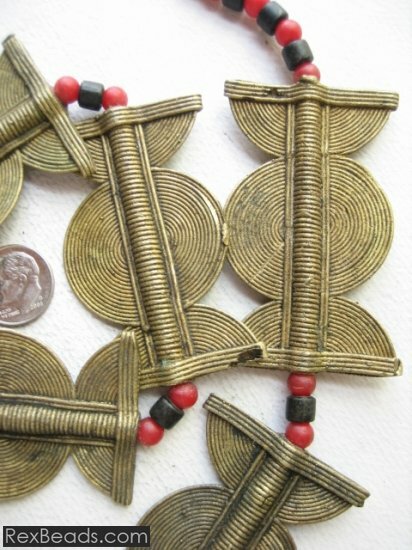 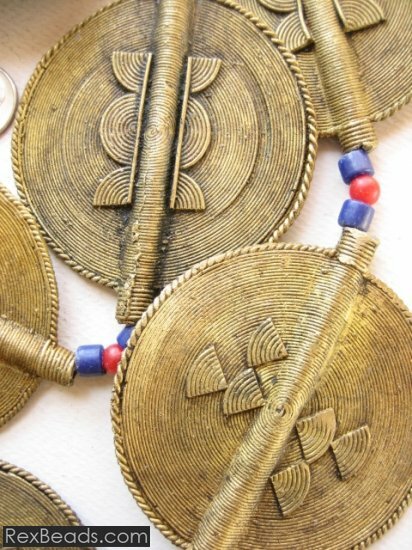 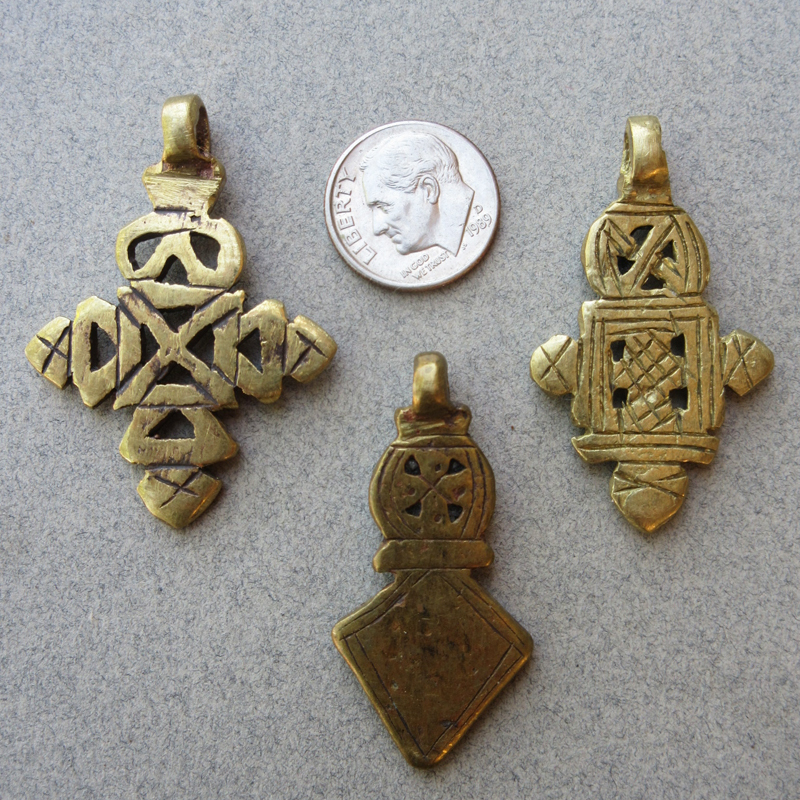 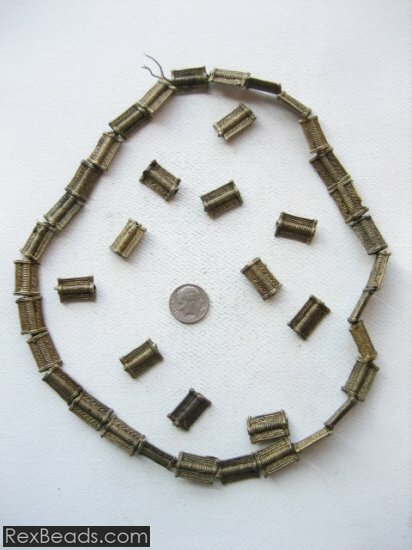 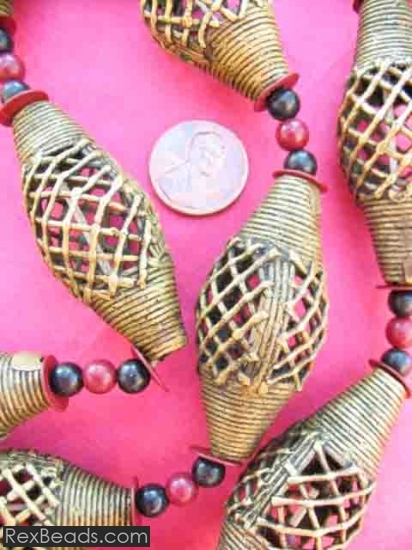 Brass pendant beads are products of centuries of brass bead making in West Africa, and most have been produced by the age old ancient bead making method referred to as the lost wax technique.